The festive season is almost there that we can already taste it. Given the decorative ideas you are flooding your to-do list with, I am sure there might be many things still left to do. And while every nook and corner of your home is being polished and given a nice look, why not give your walls a fresh touch of paint as well? 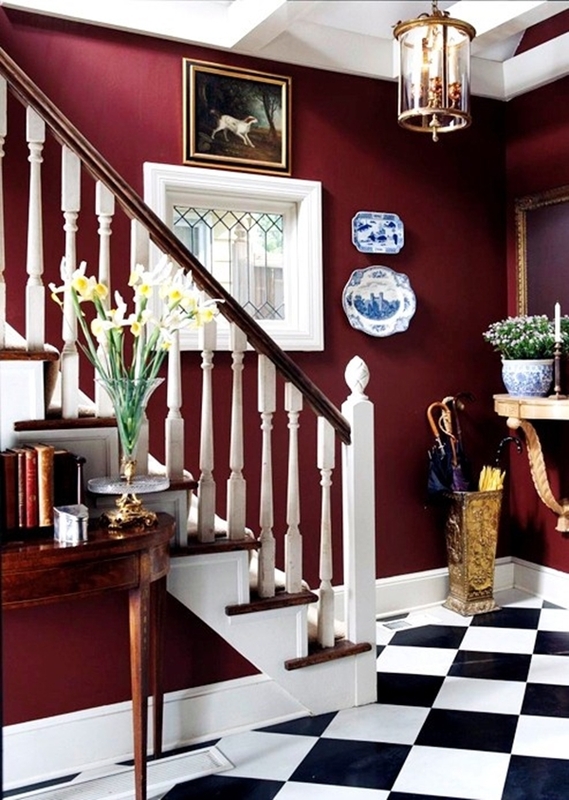 With these Best Interior Paint Ideas with Fresh Colour Combos, we are happy to help. When it comes to choosing a colour theme for the home, things can feel way more than intimidating. The process of picking a few colours out of the plethora of options and then bringing them together can be tiring and exhausting. We get it, we understand your pain. But why make it so difficult when giving a makeover to your home has never been easier than this? 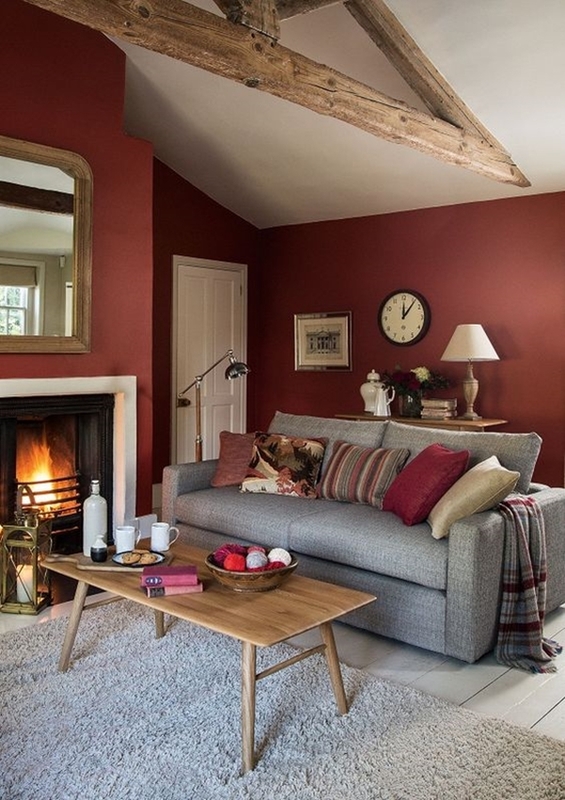 With these fresh colour schemes, your home would definitely feel that festive and fresh vibe. Similarly, choosing the window designs can also be a pain but one that you can easily chase away with these ideas. 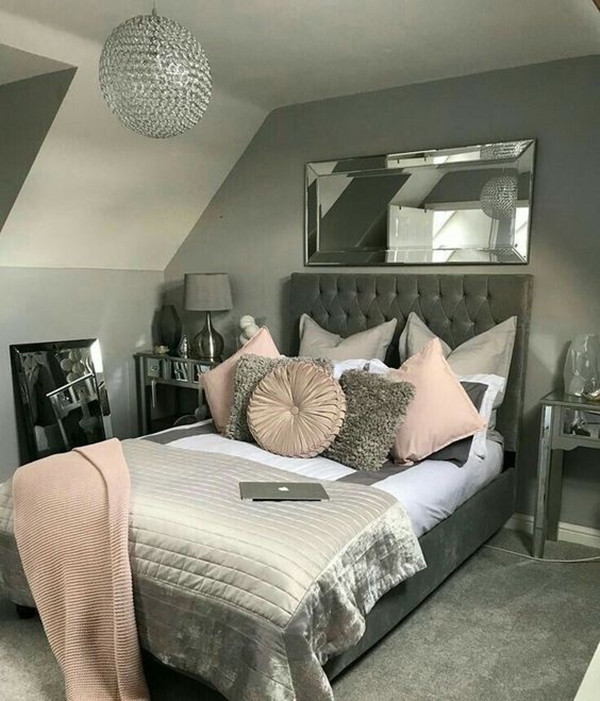 No, I’m not talking about rock bands but an amazing colour scheme for a minimalist bedroom like this. With a smart use of dark floors, pale blue splashed on the walls and the white ceiling, this colour scheme comes out stylish and elegant. With soft furnishings in shades of matching blues and whites, the whole room looks more appealing and sophisticated. For a fresh aroma swirling around all day, bring in these plants as well. 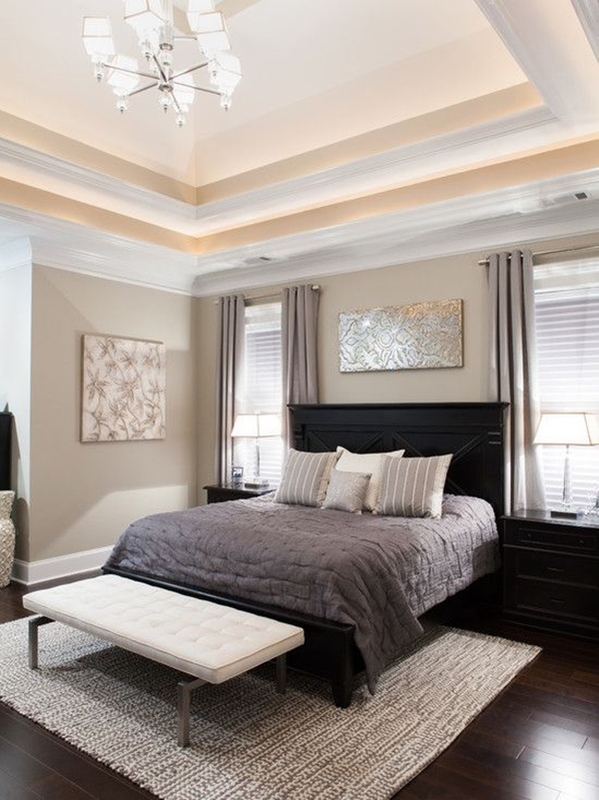 Neutrals are soothing and are often seen in many modern interior designs. 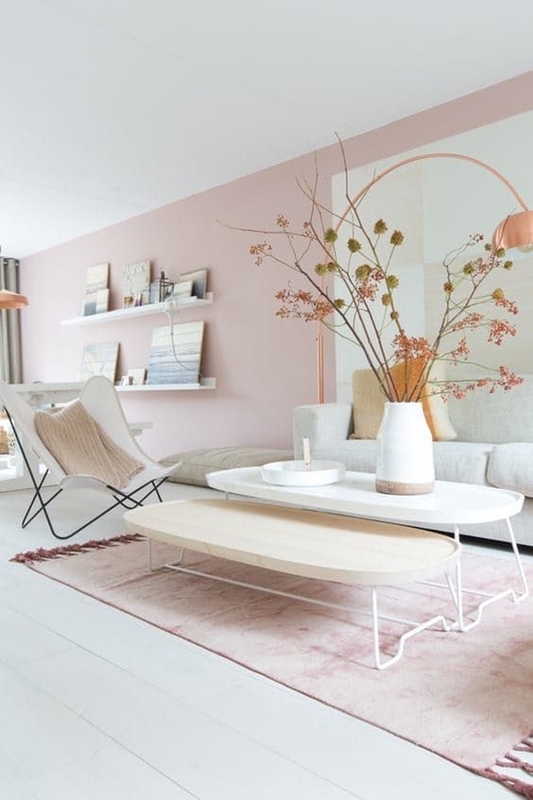 Here they have used mauve-tinted neutrals with a splash of white and a little and very subtle touch of peach. The jazzy tiles beneath the bookshelves and the modern chandelier add more character to this room. Some might call it soothing but let’s add another adjective and call it bold. The combination of the darker hue of gray and soft white is amazing itself, but when added an extra touch of beige, black and pale blue, the room looks revived and daring. While painting that wall it is difficult to stay away from stains. But you can remove them from the clothes with these smart tricks. 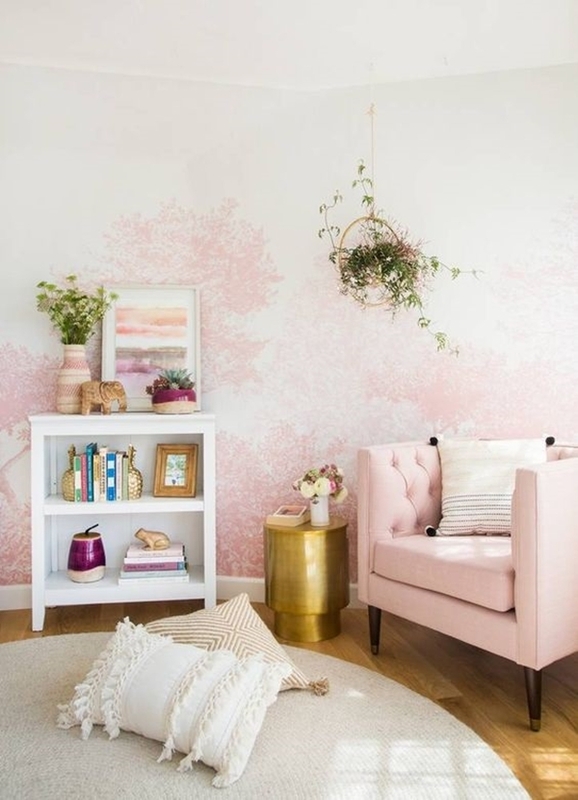 The pale pink undoubtedly adds a feminine touch to space but what adds more style to the room is the splash of different colours thrown in together. 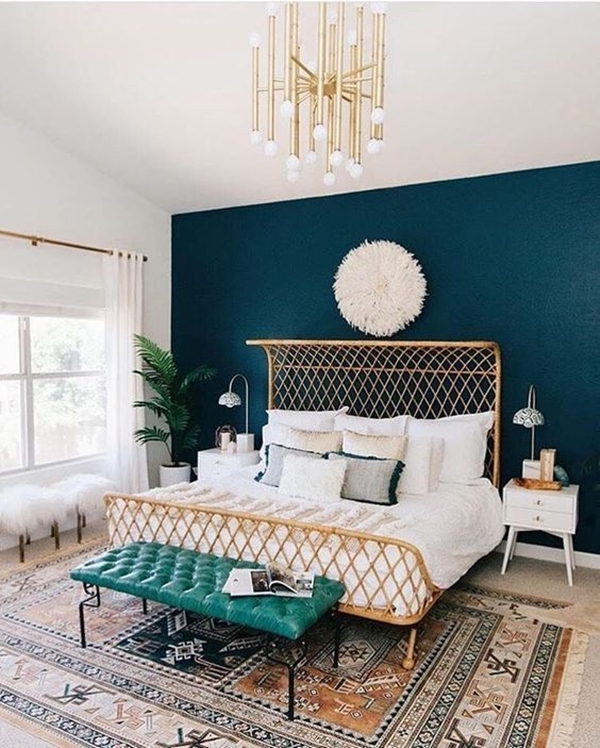 Gold adds the glam to space with its metallic accent while rugs and pillows with neutral hues add a casual look to the room. 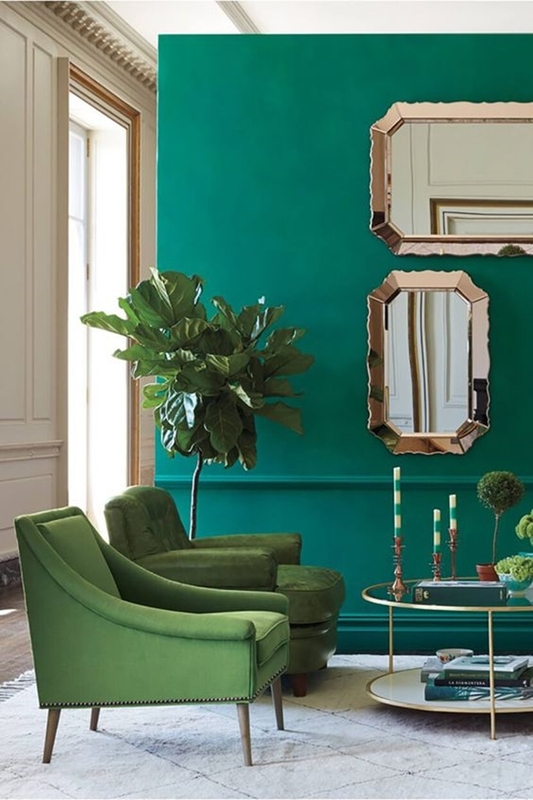 Green foliage completes the chic look that you must be looking for. 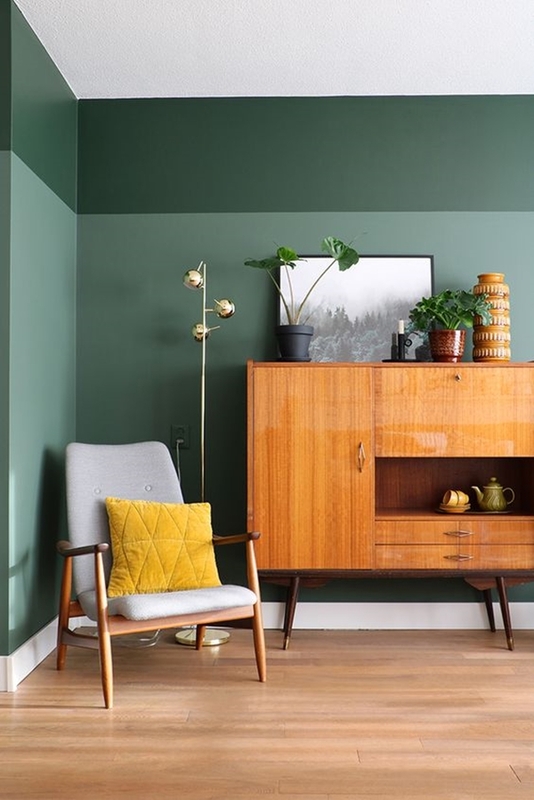 Green might not be the first choice that pops in one’s mind when it comes to the wall paint ideas. 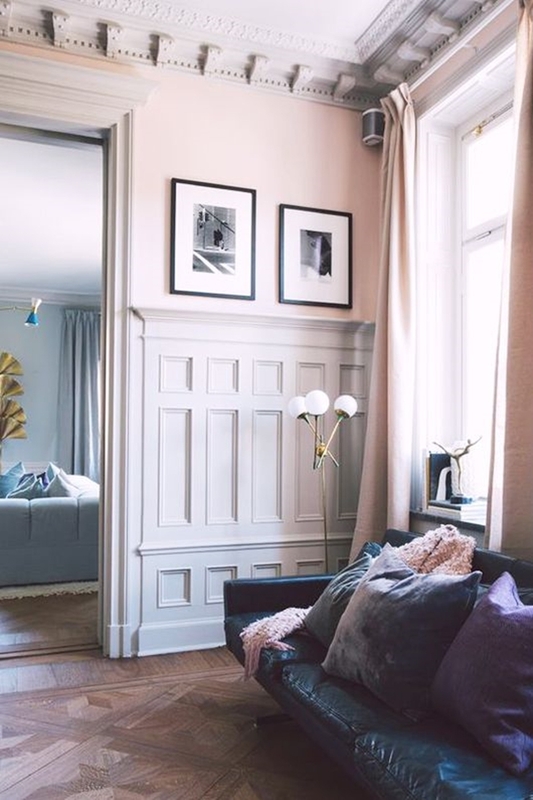 But many of us often forget that there are so many shades of this hue that are so perfect for walls. Take this one combo of teal and emerald and you could say space totally wins our hearts. There are other shades of green that you should totally have a look at to get such an interesting appeal. Give your home a touch of natural green with these plants that every home must have. The colour of power, the colour of energy! The red can be as scandalous as sophisticated. All you need is to decide what you want and then pick the shade accordingly. 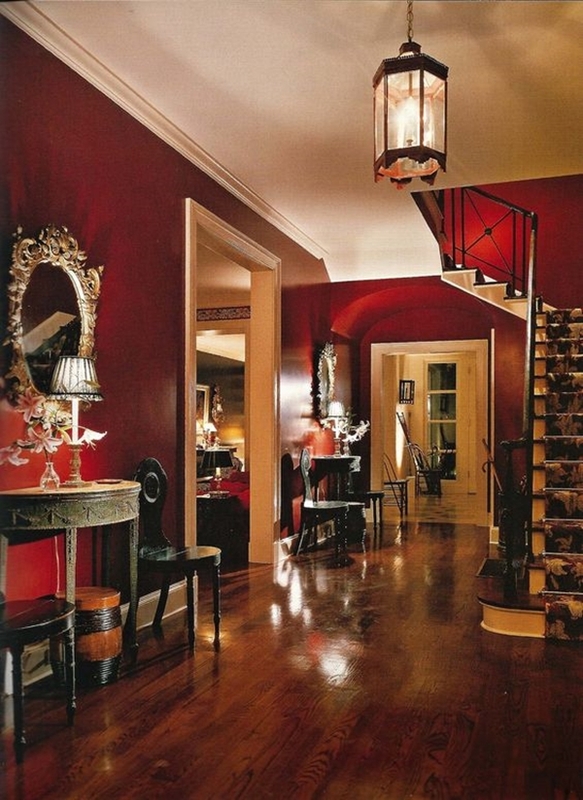 Pick a darker hue of red like the burgundy here and combine it with shades of gray or white and you get a warm and cozy look. 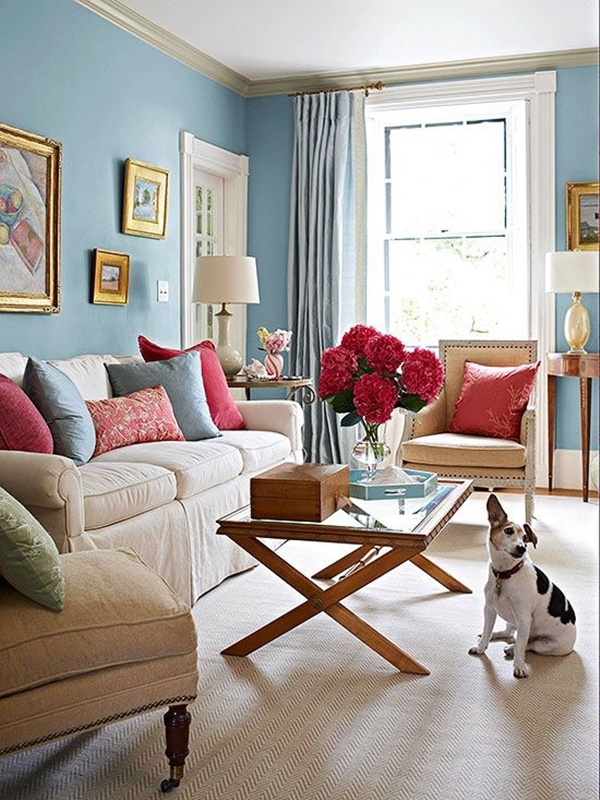 If aiming for something bohemian then go ahead with a scarlet red and fuse it together with the sky blue. You surely won’t regret it. You read the name and that’s exactly what they call it – House of Turquoise. I have not a single shred of doubt about the name because it certainly suits the space. 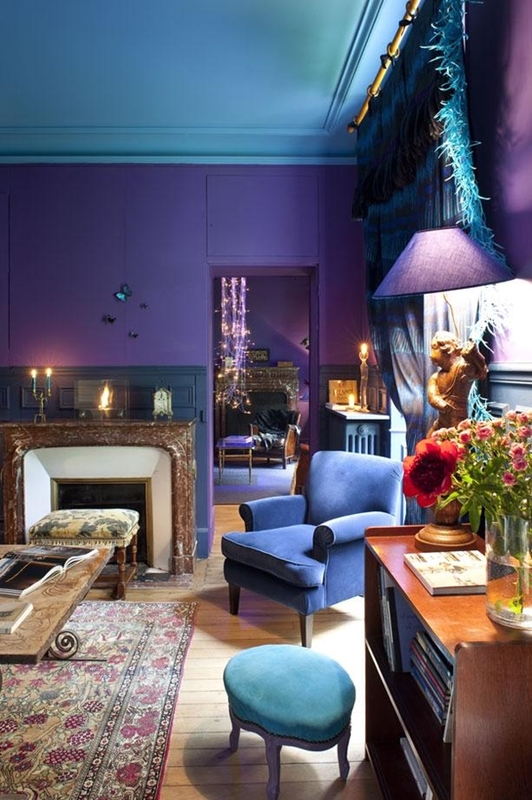 They have thrown together the shades of blue and purple and have created some amazing contrasting textures that certainly give the whole air a royally rich appeal. 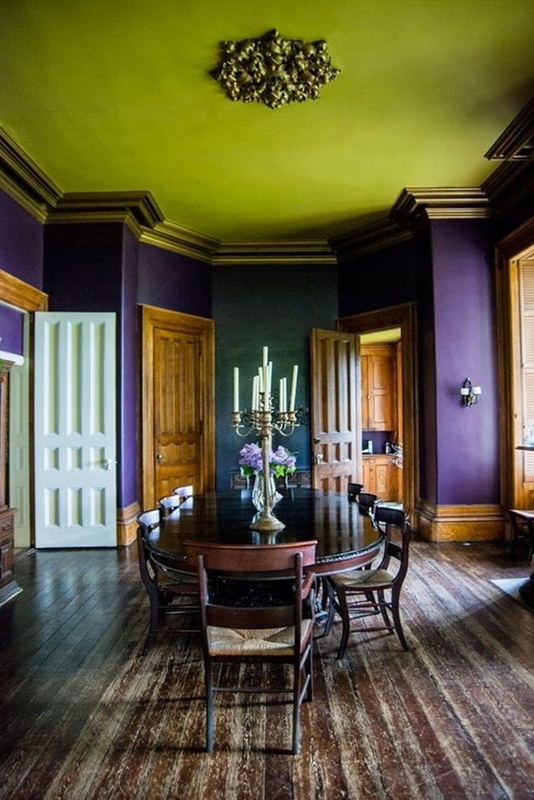 The jewel tones and the turquoise ceiling must have something to do with it! 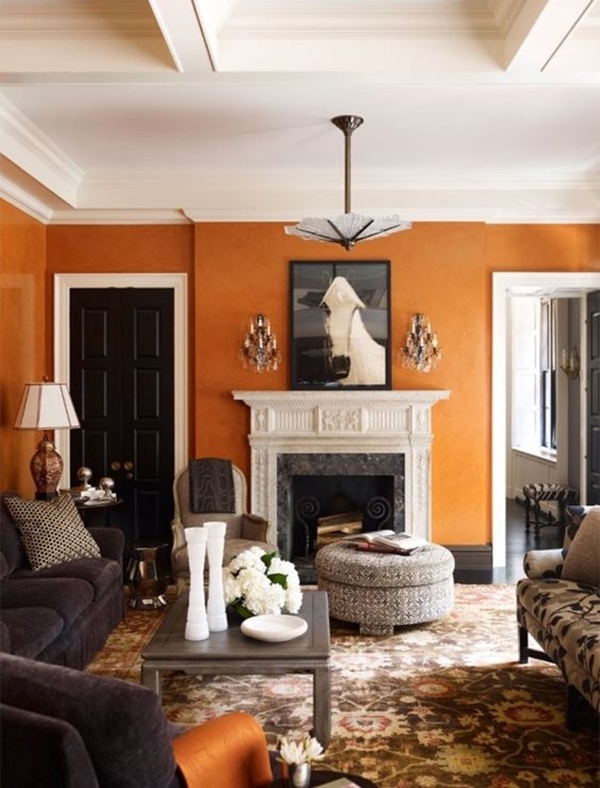 With different hues of yellow, one can create an amazing corner with warm tones or a cheery space with brighter shades. Here, you can see the goldenrod yellow that’s creating a perfect spicy tone for a breakfast corner. You can change the hue to mustard yellow and combine it with shades of pink for an exquisite look for your living room. For more living room decor ideas, make sure to take a peek here. How do I choose a color palette for my house? 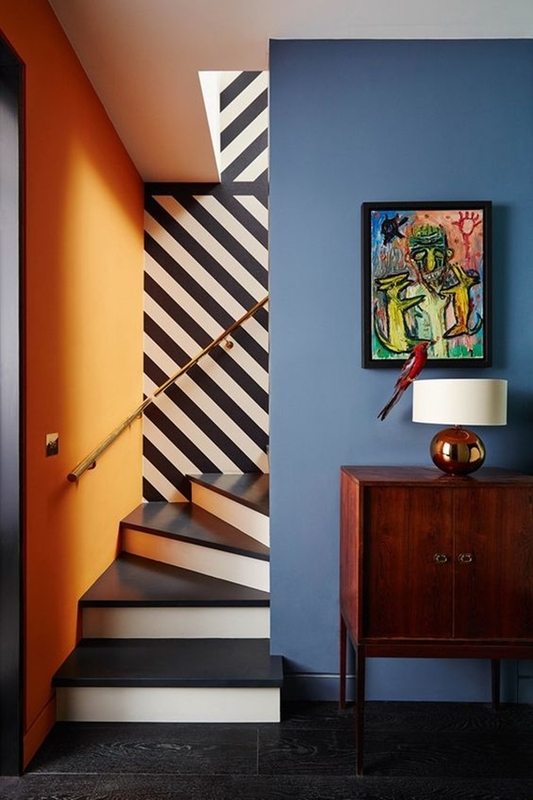 While the colour schemes I have mentioned before are amazing and lovely but they are just a few in the countless options of interior paint ideas. But don’t worry, because I will tell you how to choose the colour palette for your sweet little haven. 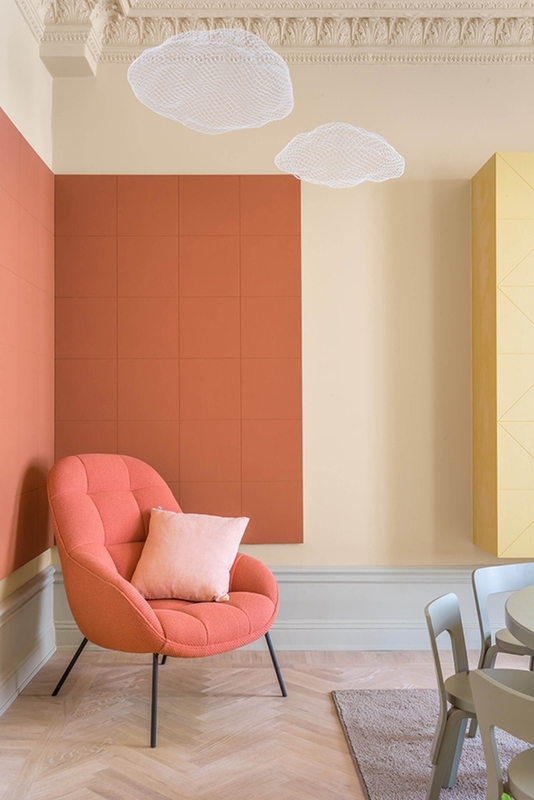 But first, you need to remember that there is not just one way to pluck a few colours and bring them together in a lovely colour palette together. Another thing that you must remember is that the colour palette will vary for different rooms. So, now is the time to get rid of that wallpaper and paint your walls. Pick your favourite colour because we don’t want to miss it no matter what. Next, look out for the colours that you are already stuck with. What I meant is to observe the furnishings, flooring, rugs, artwork, etc. and pick either the colour you like from it or the major colour that’s splashed on it. That way, your budget won’t hurt you neither it will restrict your décor ideas. The next part is to decide what you want your home to look like. Whether it’s a soothing space or a vibrant corner you are looking for. Want lots of contrast or something like a modern feel? All these things would help you decide the next few colours. That colour wheel will come in handy. For a soothing effect, you can go for colours that are next to each other and for contrasting features, go for the opposite colours of the wheel. Afraid of colours? Then you can always go for monochrome. What are the new colors for living rooms? We often start with living rooms when it comes to a makeover. And why not? It is that corner of the home where we spend most of our time and entertain the guests and what not. The room must look perfect and that’s why it needs some of the best colour combos out there. Here are the few options that you can mull over for your new living room. You have different colour schemes. You know how to create your own colour palette. And now you have a teensy-tiny idea of numerous colour options. All you need to do is start exploring your own ideas and create a magical effect out of that. In the end, all of it depends on you and what you want your home to look like. Have fun while painting! And fill it with positive vibes.